Moscow-based Art Lebedev is the team behind the popular cardboard Flashkus memory sticks. The safety pin designs are equally as appealing and possibly a more sustainable option, given that they are not disposable. 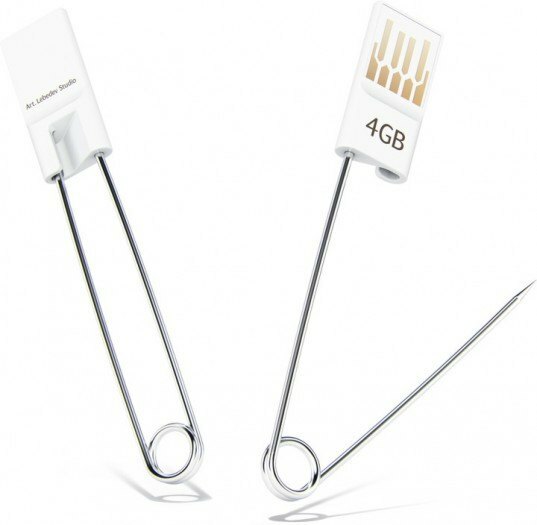 Perhaps a flashdrive-pin trend will emerge and we will all soon be wearing our memories on our clothes. 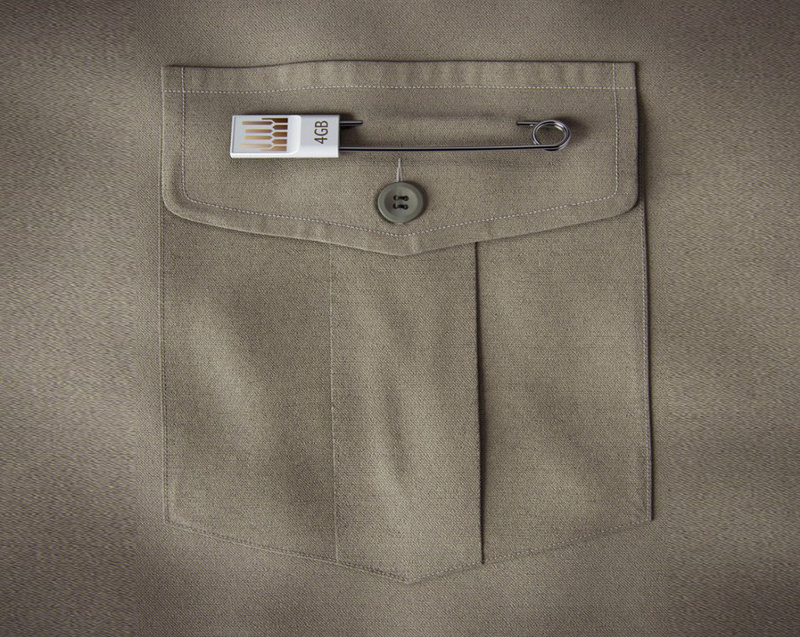 This USB flash drive design combines a simple safety pin with a 4G computer memory stick, a simple and functional way to make it easier to find your mini gadget. The gadget is called Bulavkus and is the latest in a series of memory stick reinventions from Art Lebedev Studio. "For finding Bulavkus in a flash," say the studio, "simply fasten to any fabric material and spare yourself frustration of digging through pockets."